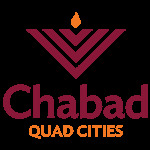 High Holiday Services - Chabad Lubavitch of the Quad Cities. Services with Chabad of the Quad Cities are designed to make everyone feel welcome and at home. The prayers, conducted with Hebrew/English prayer-books, are lively, engaging and inclusive – spiced with inspiring tunes and insightful explanations throughout – allowing all to absorb the experience at their own level. Services and meals are free and a special children's program will be held during part of the services.